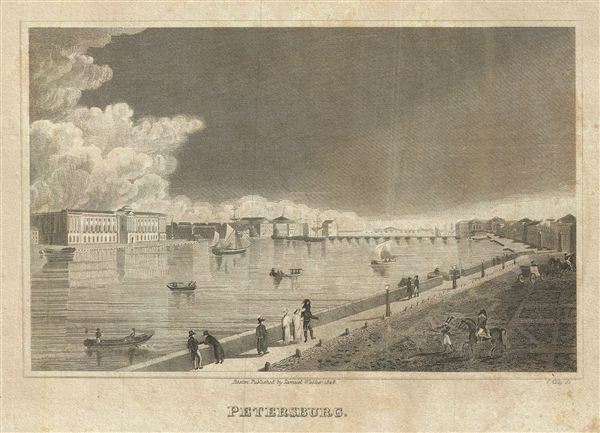 This is an uncommon example of the 1828 view of Saint Petersburg, Russia. It features a lovely view of the city on the River Neva. Boats and ships can be seen sailing in the river along with people walking along the promenade. This view was engraved by T. Kelly as part of Malte-Brun's System of Geography, Vol. I., published in New York by Samuel Walker.